The nominees for the prestigious, annual African Fashion Awards (AFAs) have been announced, with contenders coming from as far afield as South Africa, Nigeria, Ghana, Nigeria, Kenya and Italy for the glittering event, which will take place at Melrose Arch, Johannesburg on 2 November. 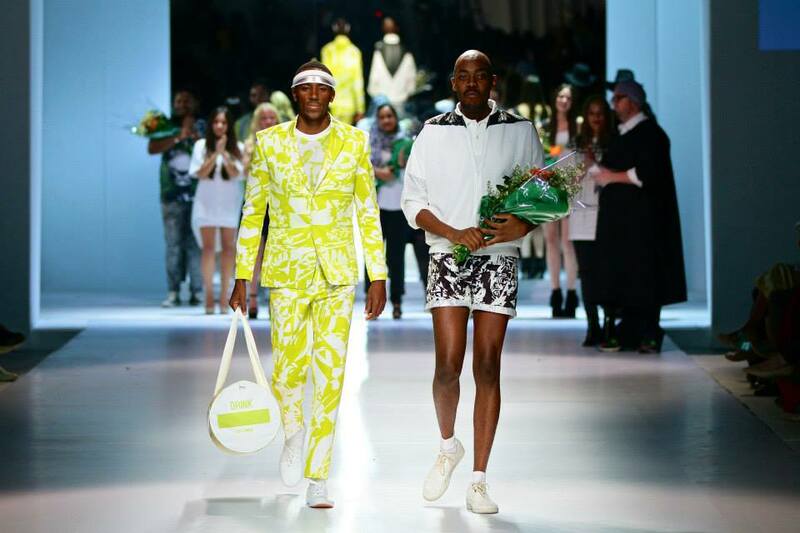 The AFAs will be held after the last day of Mercedes-Benz Fashion Week Africa 2014, which will run from 29 October to 1 November, also at Melrose Arch. Presented by leading fashion authority, African Fashion International (AFI), the AFAs are the continent’s foremost industry awards, recognising and celebrating exceptional achievement in fashion, modelling, retail and other clothing-and-textiles-related arts from Africa and its diaspora. 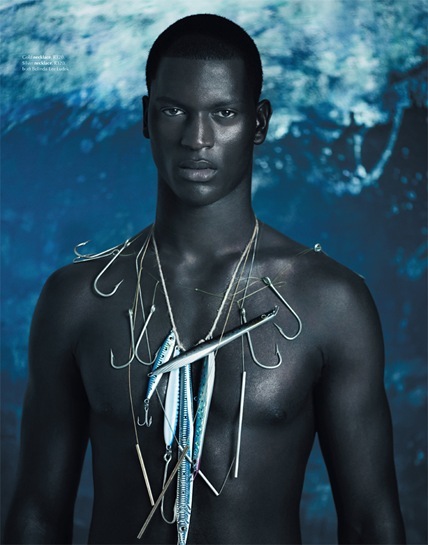 In 2014, the Africa Fashion Awards will recognise phenomenal contributions to African fashion across seven categories, namely: Designer of the Year; Emerging Designer of the Year; Accessory Designer of the Year; Outstanding Trend Communicator; Model of the Year; Outstanding Contribution to African Fashion; and AFI Young Designer of the Year. The title of Designer of the Year will go to the sartorialist who has most impressed the judges with innovative designs, sustainable fashion business development, and a strong creative and economic impact both in Africa and on the international stage. Up-and-coming designers vying to be named Emerging Designer of the Year will be judged based on similar criteria, and will be recognised for their fresh, next-generation contribution to African fashion. The category of Accessory Designer of the Year will celebrate the importance of detail in the fashion world. 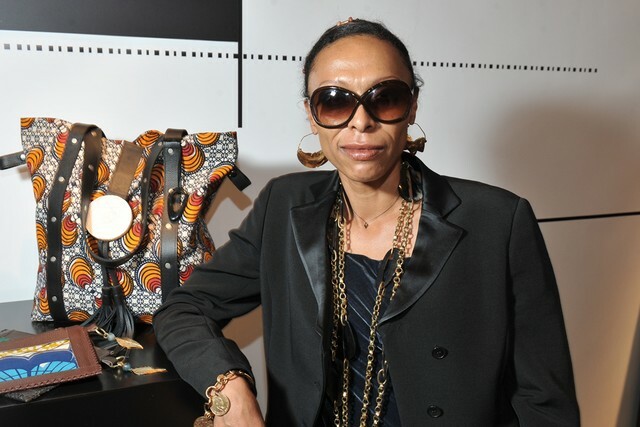 The accolade will go to the designer who best breathes new life into Africa’s accessories market. With the exception of the AFI Young Designer of the Year – who will be chosen from amongst the three AFI Fastrack™ 2014 Winners – nominees for each category were put forward earlier this year by a large group of key industry players. 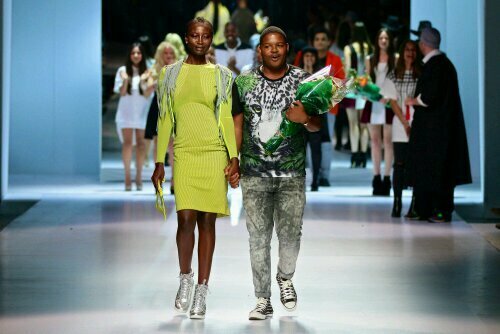 The AFI Fastrack™ 2014 Winners, who were chosen from amongst 10 finalists at Mercedes-Benz Fashion Week Joburg 2014 in March, will each present a capsule collection on 1 November, Day Four of Mercedes-Benz Fashion Week Africa 2014, in the hopes of being crowned Young Designer of the Year 2014. Lisa Folawiyo (Nigeria), for her multifaceted, global womenswear and accessories brand, Jewel by Lisa. 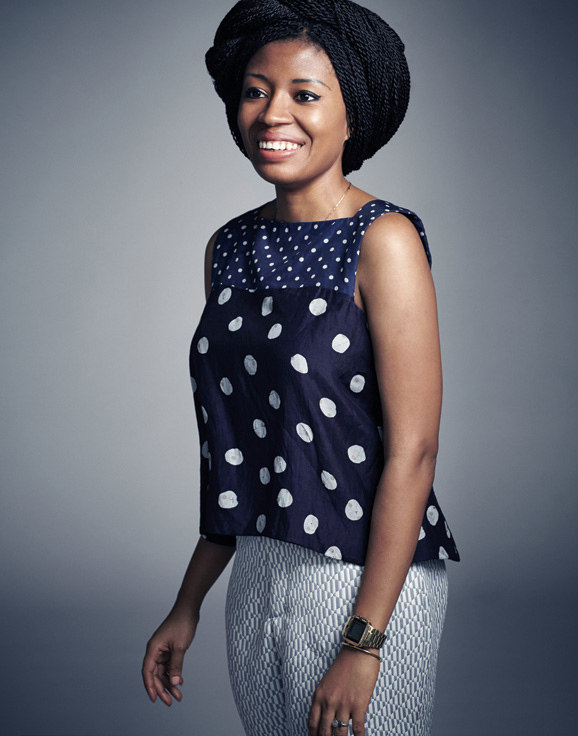 Amaka Osakwe (Nigeria), for Maki Oh, a globally recognised womenswear label known for its deeply rooted African identity. 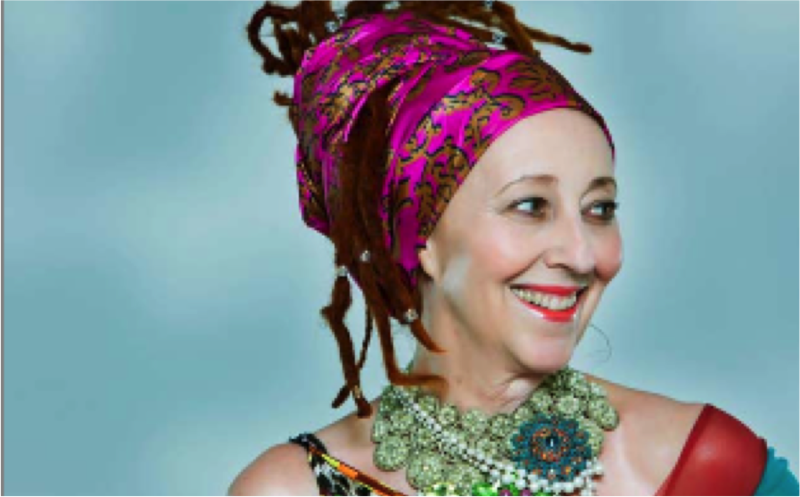 Marianne Fassler (South Africa), critically acclaimed and multi-award-winning fashion stalwart who continues to surprise and delight after 20 years in the industry. 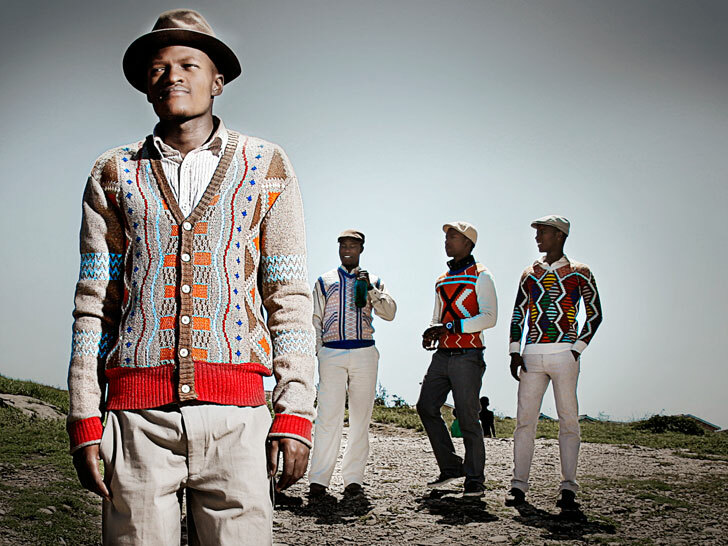 Laduma Ngxokolo (South Africa), for his Xhosa-heritage-inspired knitwear brand, currently taking international fashion by storm, MaXhosa by Laduma. Nana Brenu (Ghana), for 1981 by Nana Brenu, conceived to bridge the gap between minimalist design sensibilities and vibrant, bold Ghanaian tradition. Nick Coutts (South Africa), winner of ELLE Rising Star 2013, whose capsule collection is currently stocked by Mr Price. 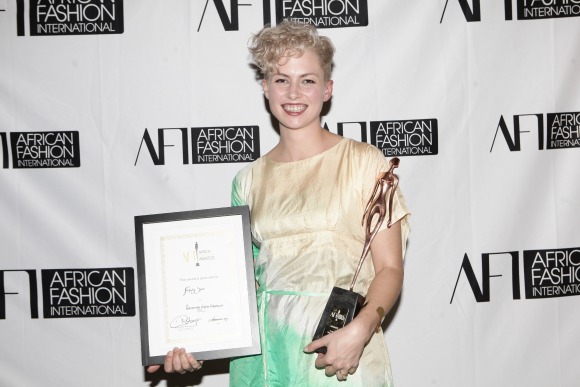 Eleni Labrou (South Africa), AFI Young Designer of the Year 2013, for AKEDO, which has made significant inroads on the fashion map since its launch last year. Chloe Townsend & Lizel Strydom (South Africa), for Missibaba, a luxury leather accessories label. Katherine-Mary Pichulik (South Africa), for Pichulik, a bespoke label of hand-crafted neckpieces accessories. Adèle Dejak (Kenya), for Adèle Dejak, a brand offering accessories inspired by African shapes, textures and traditional techniques, owing to the designer’s background in typography design. Diana Opoti (Kenya), Executive Producer of the TV show, Designing Africa (which reaches 42 countries) and champion of the #100DaysofAfricanFashion campaign. Gaschette Magazine (South Africa), a digital fashion publication launched by creative trio, Colin O’Mara Davis, Steve Marais and Jessica Lupton. A Fashion Friend (South Africa), an online fashion news portal, founded by fashion director, Robynne Kahn as a platform for young creatives. France Sozzani (Italy), Editor-in-Chief of Vogue Italia, respected for shining a spotlight on the African fashion industry’s growing role in the global fashion industry. Kofi Ansah (Ghana), recently departed fashion designer and pioneer in the promotion of African fashion on the world stage. 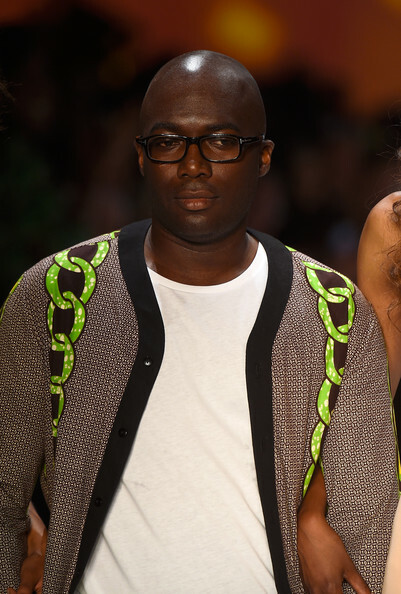 Omoyemi Akerele (Nigeria), founder of Lagos Fashion & Design Week and the founding artistic director of Style House Files, a creative development agency for African designers.